This week our spotlight weekly theme is military! 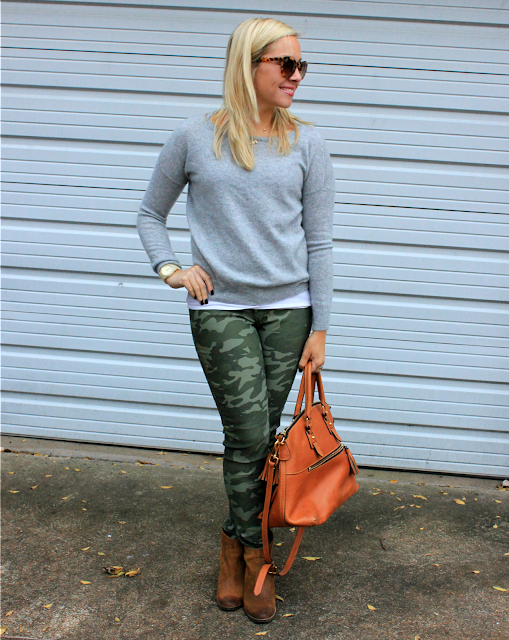 I bought these camo pants this past summer and I only paid $10 for them at Target! They are super comfy and reversible! The last time I wore this outfit, I styled these pants with a chambray shirt. Now that it is cooler, I decided to wear it with a sweater! Come share your military look with Elle and I! Remember, that we welcome all fashion related posts! 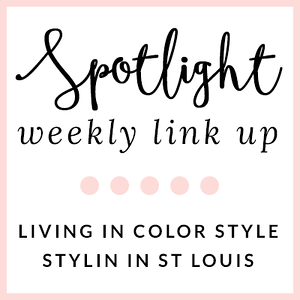 Spotlight: Our spotlight this week is Nicole from A Dash of Gold! We love the way Nicole styled her hat last week! That color is just amazing for fall! 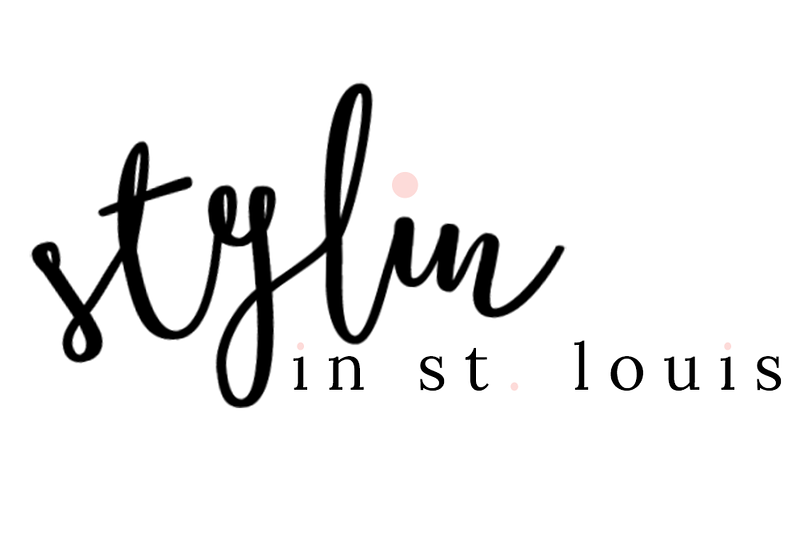 Next Week: Next week our spotlight weekly theme is faux fur! See you next week! Thanks for linking up! I can't believe those camo pants were only 10 bucks! Target always comes through! Such a great deal! Target is the best! very cute! ...and at a great deal :) thanks for hosting! SO cute! 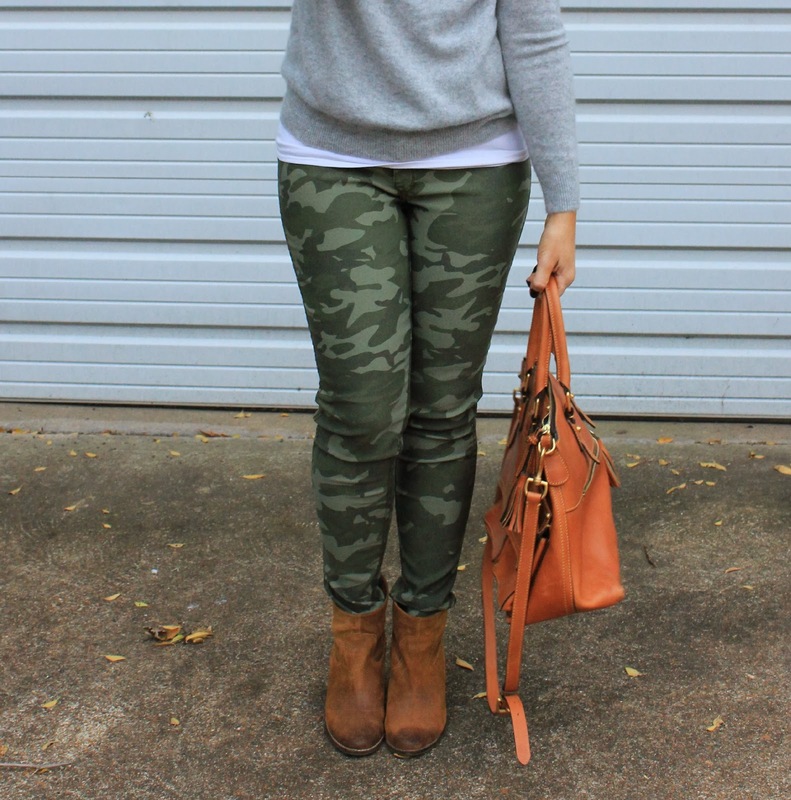 I am not a huge fan of camo, but I like the way you made it cute! And what a steal at $10! I agree. This is my only pair and for $10 I could not beat the price! Oh really cool outfit, now I´m following you in Bloglovin´I hope your follow me back! I have seen a lot of these looks lately but yours looks the comfiest! Love the bag too! Thanks Becky! 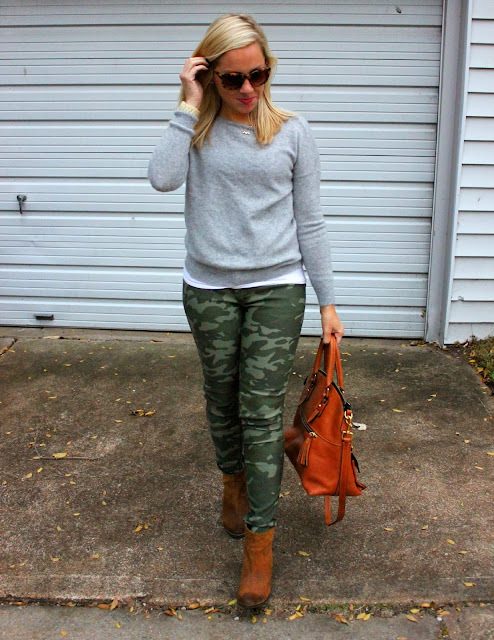 These pants and loose sweater=super comfy! 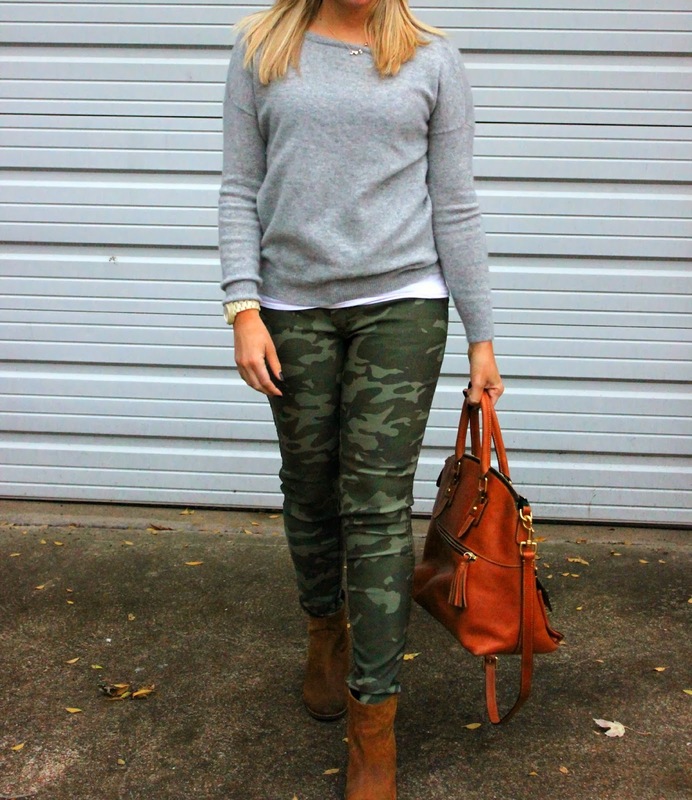 You know, I really thought I couldn't do camo, but I love essentially EVERYTHING you style, and of course now I'm thinking I should get a pair!! Hehe. You look beautiful as always! 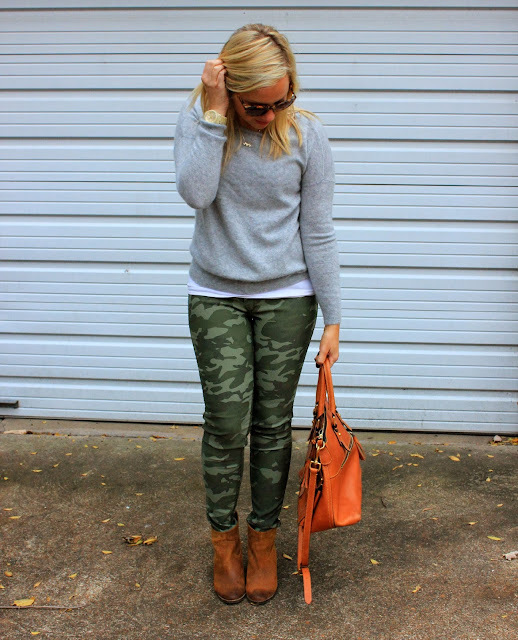 Loving the camo pants, comfy chic to a T!